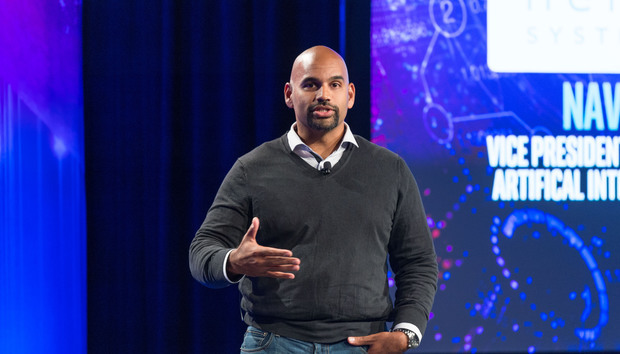 Intel's artificial intelligence efforts have been scattered over many different units but are now being united into a single operating group. The Artificial Intelligence Products Group will focus on the development of chips and software products tied to machine learning, algorithms, and deep learning. The new group could become Intel's single most important group as companies implement machine learning into operations. Intel is tweaking more chips and developing software to take on workloads like analytics, image recognition, and automation. Intel is designing a new Xeon Phi chip code-named Knights Mill that will focus on machine learning. Additionally, it is applying its wide portfolio of FPGAs (field programmable gate arrays) to artificial intelligence. Intel also offers many software tools for deep learning, like its Deep Learning SDK. Also part of the group will be chips from Movidius and Nervana Systems, companies that Intel acquired last year. Movidius chips are used in mobile devices, drones, and robots, was well as for computer vision. Intel plans to show a high-performance machine learning ASIC (application-specific integrated circuit) called Lake Crest with technology from Nervana this year. Intel will create an AI research lab dedicated to exploring "novel architectural and algorithmic approaches" that could be applied to data center technologies and IoT devices. Machine learning today is mostly driven by GPUs, which Intel doesn't make. But between its CPUs, ASICs, and FPGAs, Intel believes it can offer a wide range of chips to meet all machine-learning needs. The group will be led by Naveen Rao, who will be vice president and general manager. He was the CEO of Nervana Systems before the company was acquired by Intel. In recent months, Intel has tightened its operations to focus on the hot markets. In November, Intel created the Automated Driving Group to chase self-driving cars.